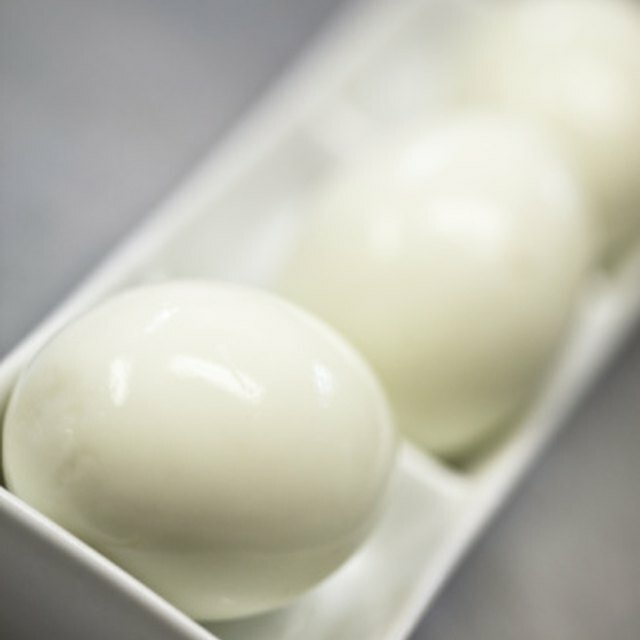 Hard-boiled eggs reveal themselves without cracking. 2 What Is the Difference Between a Fried and a Poached Egg? From the outside, the hard-boiled egg, soft-boiled egg and the raw egg all look and weigh the same – a potential source of culinary catastrophe. Thankfully, there are a few simple, fail-safe methods for distinguishing among the three and avoiding unnecessary waste. The methods for identifying the egg's internal state typically use simple laws of physics, since the interior of an egg is a viscous liquid when raw, affecting the way it behaves and moves. Is the Egg Hard Boiled or Raw? To determine if the egg is hard boiled or raw, conduct a simple experiment. 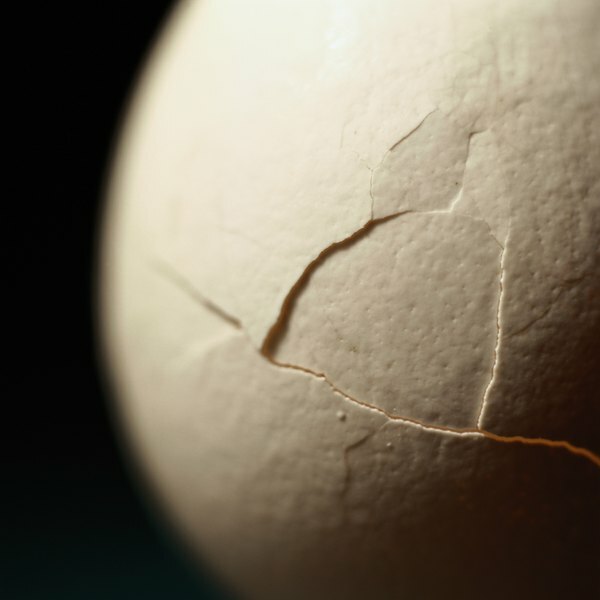 Place the egg on its side on a smooth countertop and away from obstructions. Then, spin the egg gently. A hard-boiled egg, being solid, will spin smoothly. A raw egg, being liquid inside, will wobble. Double-check by spinning the egg and suddenly stopping its rotation with the tip of your finger. A hard-boiled egg comes to an immediate stop and stays stopped if you lift your finger. A raw egg begins to rotate again, though more slowly, if you quickly lift your finger away from the egg. Is the Egg Hard or Soft Boiled? There’s no foolproof way to differentiate between a soft and hard boiled egg without cracking it open to find out. It’s best to be mindful of timing to make sure the egg is cooked to the desired consistency. To boil eggs, using a slotted spoon, lower eggs into boiling water, cover the pan, and remove from heat. For a soft boiled egg, allow it to cook for four to six minutes. For a hard boiled egg, allow it to cook for 13 minutes. In order to stop the egg from cooking, transfer it to an ice bath for 10 minutes. There’s a trick for figuring out the difference between soft and hard eggs. Place raw eggs in a pan, just covered by cold water. Bring to a rolling boil for one minute. Remove the egg from the water it is boiling in with a slotted spoon. A hard-boiled egg, containing greater residual heat, dries in about 10 seconds, while a soft-boiled egg stays wet for up to 20 seconds. Note: hard-boiled eggs spoil more quickly than raw eggs. Store them in their shells in the fridge after cooking, if necessary, but discard after a week. Spin eggs away from the edge of the countertop, as they may easily veer off course and plummet to the ground. Hard-boiled eggs spoil more quickly than raw eggs. Store them in their shells in the fridge after cooking, if necessary, but discard after a week. Science Kids: Raw or Boiled Egg?